Writer's Digest Books, 9781440354359, 890pp. Want to get published and paid for your writing? 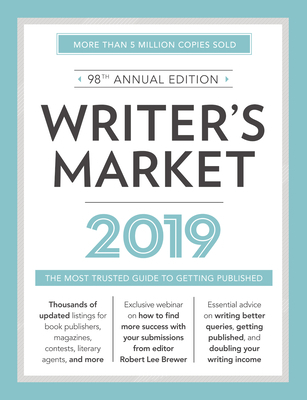 Let Writer's Market 2019 guide you through the process with thousands of publishing opportunities for writers, including listings for book publishers, consumer and trade magazines, contests and awards, and literary agents--as well as new playwriting and screenwriting sections. These listings feature contact and submission information to help writers get their work published. + Includes exclusive access to the webinar "Find More Success With Your Submissions" from Writer's Market Editor Robert Lee Brewer.